After a lifetime of service to Holy Mother Church, Cardinal Darío Castrillón Hoyos died on May 18. Colombian Cardinal Darío Castrillón Hoyos died in Rome on Friday, aged 88. His death comes in the month of May, the month dedicated to the Blessed Virgin Mary, for whom he had a particular devotion throughout his life. At peace and cheerful in his final moments, the Cardinal passed away at 1:15 am Rome time, after a life of service, dedication and love for the Church, the Pope, and for all. Cardinal Darío Castrillón Hoyos was born in Medellín, Colombia, on July 4, 1929. At an early age he entered the minor seminary of the diocese of Santa Fe de Antioquia, then proceeded to Santa Rosa de Osos where he continued his formation. He was sent to Europe to complete his studies, and received a doctorate in Canon Law at the Pontifical Gregorian University in Rome; and another in Sociology from the University of Leuven in Belgium. On October 26, 1952, he was ordained a priest in the Church of the Twelve Apostles in Rome. Following his ordination, he returned to Colombia where he served as priest vicar and parish priest. At the age of 41, on June 2, 1971, Pope Paul VI appointed Castrillón Hoyos as coadjutor bishop of Pereira with right of succession. He served as the chief shepherd of the diocese for 21 years. In 1983 he took up the role of General Secretary of CELAM (Latin American Episcopal Conference); four years later, in 1987, he assumed the presidency of that body, a position he held until 1991. In 1992 he was named Archbishop of Bucaramanga, where he served as ordinary until 1996, when Pope Saint John Paul II appointed him Prefect of the Congregation for the Clergy in Rome. He was created Cardinal by the same pope in 1998. In 2000, he was appointed President of the Pontifical Commission Ecclesia Dei. Pope Benedict XVI accepted his resignation in 2009, when the Cardinal turned 80. From then on he continued to work as a consultant for different dicasteries and prefectures of the Holy See, and continued to exercise his pastoral ministry. 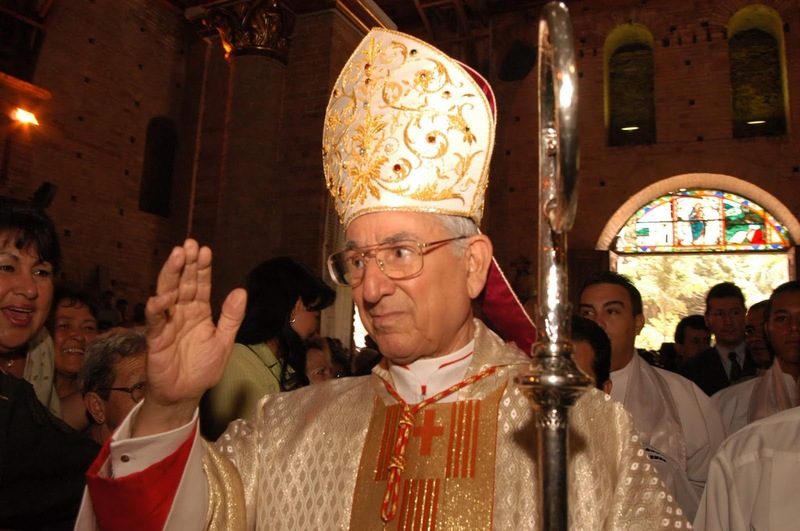 Before his death, Cardinal Castrillón Hoyos expressed the desire to be buried in the Metropolitan Cathedral of Medellín, his native city, that his remains might rest among the people of his country awaiting the resurrection of the dead.